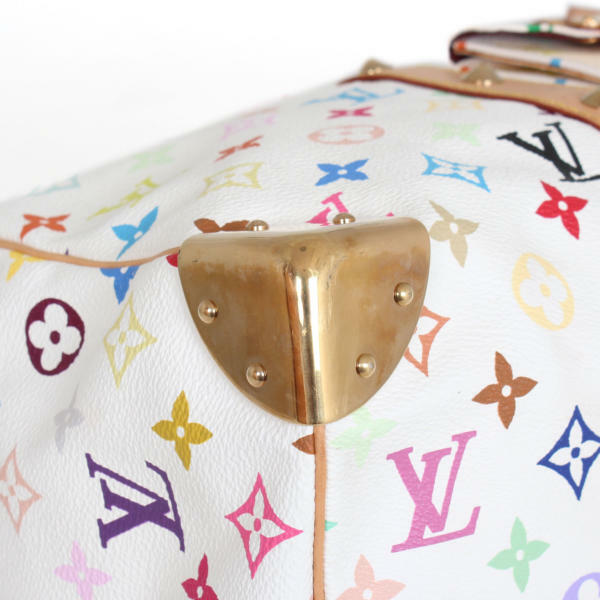 This Louis Vuitton Keepall 45 bag, highly coveted by celebrities, has an ultra-glamorous appeal. 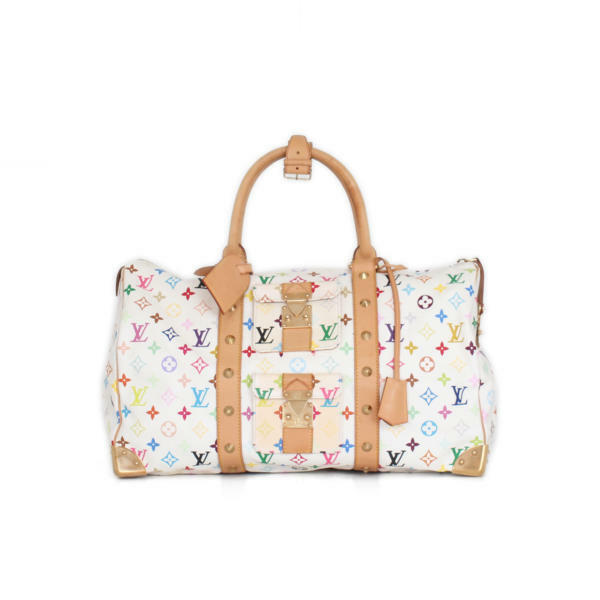 Its size is ideal for weekend trips or as carry-on luggage. 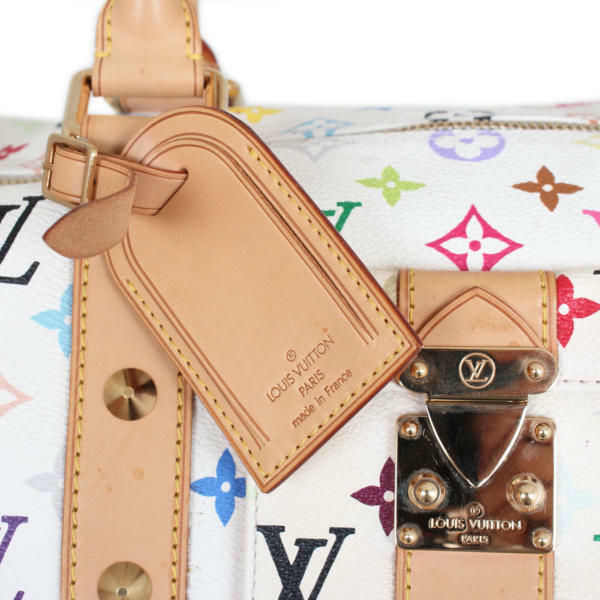 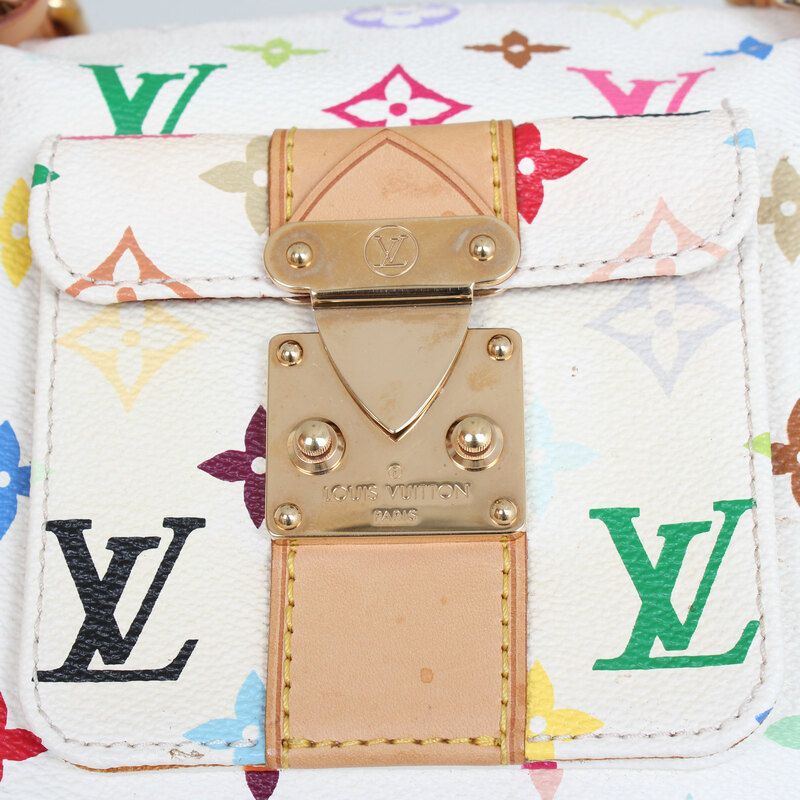 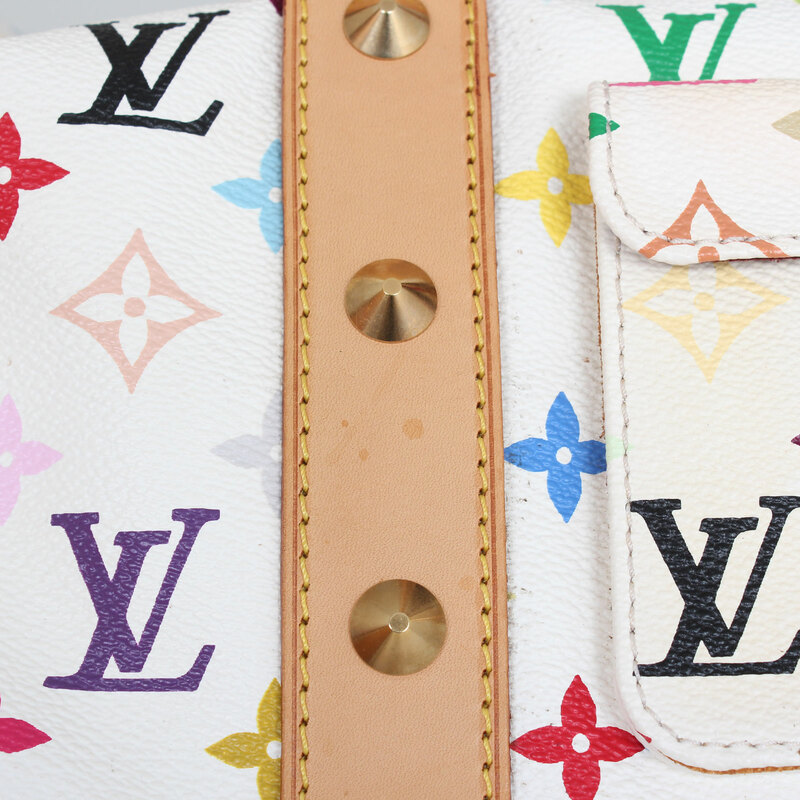 At CBL Bags, we are experts in buying and selling handbags from brands such as Louis Vuitton. 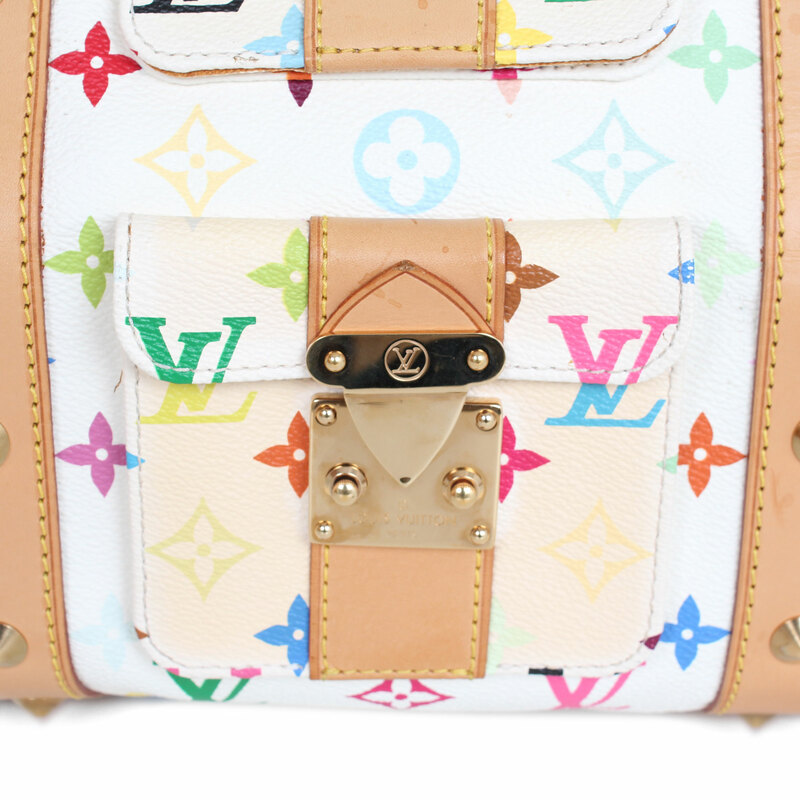 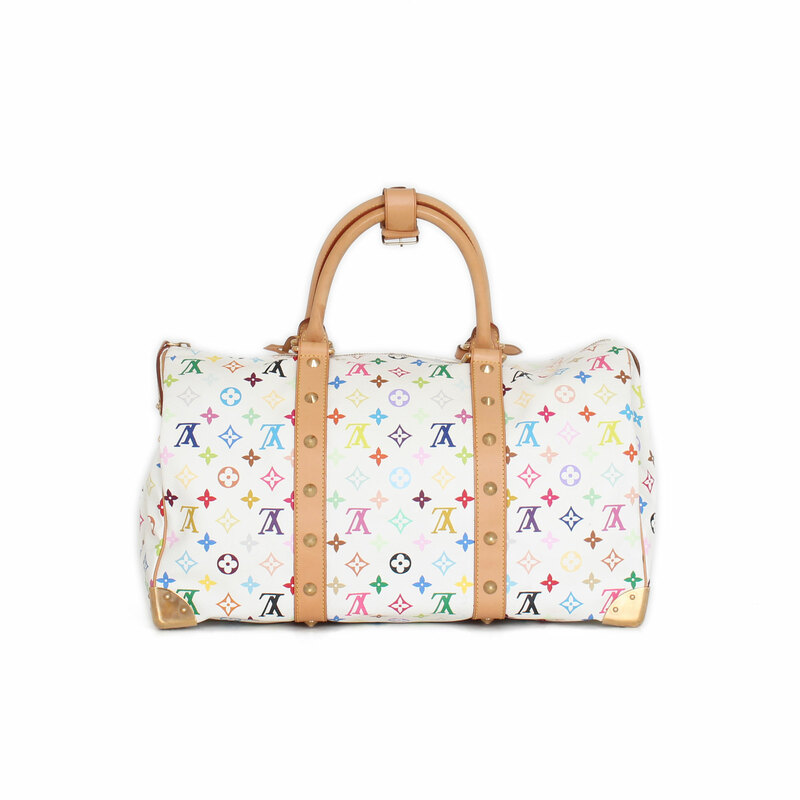 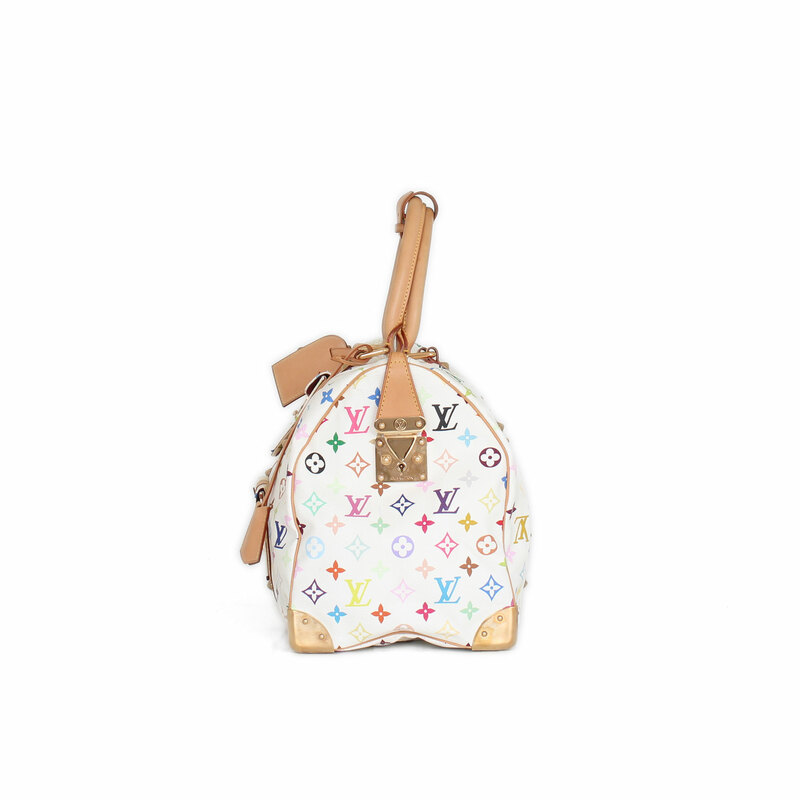 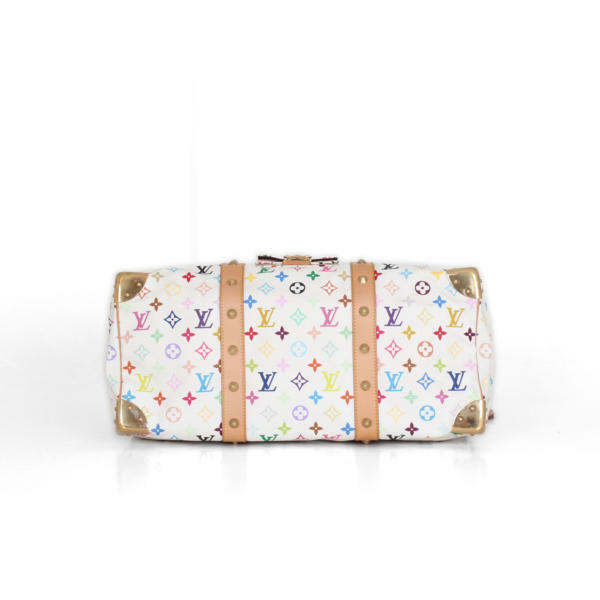 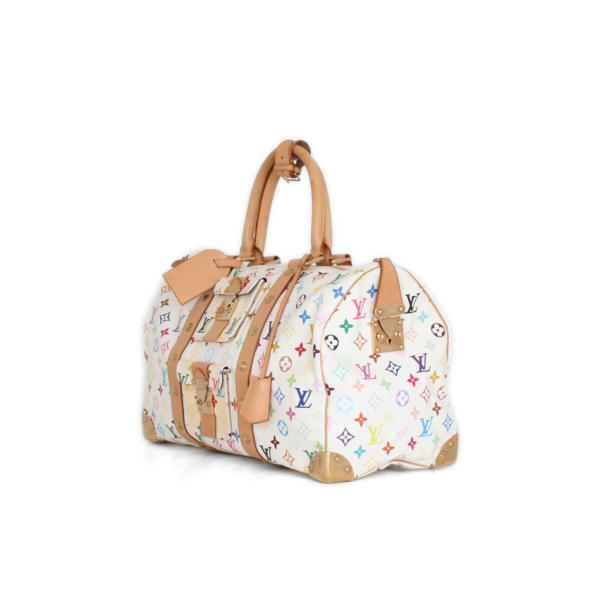 This vibrant Louis Vuitton Keepall 45 travel bag is made of white canvas with multicolored Monogram print designed by Murakami. 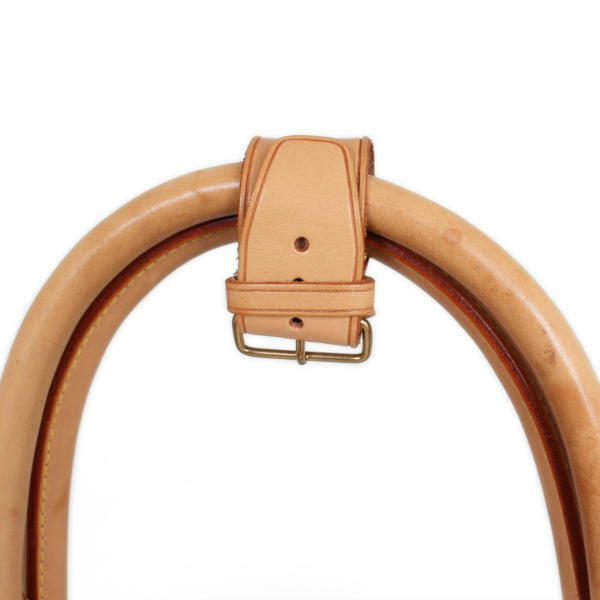 It has two large and robust leather handles to carry in hand and even on the shoulder. 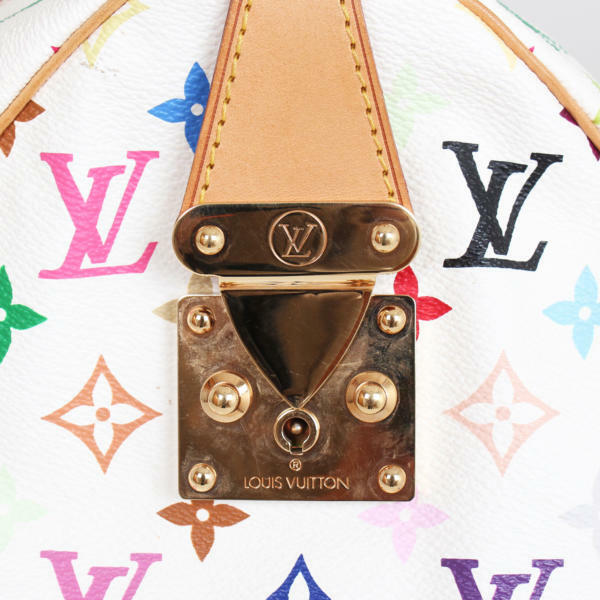 On the outer front has two pockets with S-lock, details of pyramidal studs in gold metal, leather strap and metal coatings to protect the corners of the base. 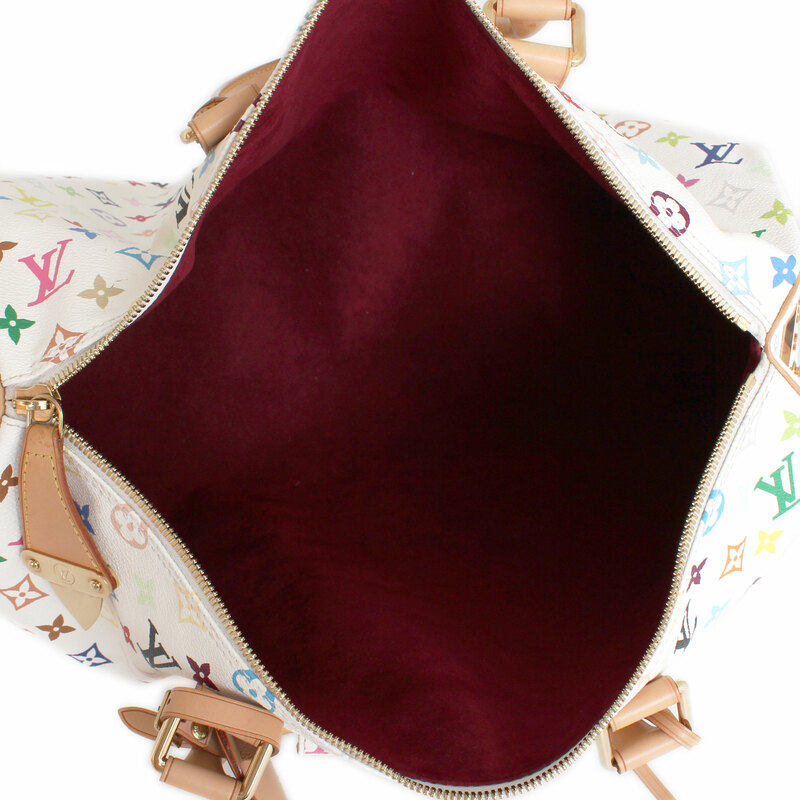 Its large interior is lined in a nice burgundy alcantara fabric. Bring this bag for a day on the spa, overnight trip or as carry-on luggage. Includes: Identifier, unifier, keys and label. Details: The exterior pocket has a yelowish color. Lightweight brands in general, especially in leather.